Roasted asparagus with Romesco is one of spring and summer’s greatest and easiest pleasures. Go on. See for yourself. This recipe makes more romesco sauce than you’ll need for the roasted asparagus. And trust us, this is a good thing. A very good thing. The creamy dip is a spectacularly simple and effortless way to liven up countless things when you’re lacking ingredients or time or both. We’ve listed a few ideas although we’d love to hear what you did with your extra sauce. Just let us know in a comment below. 2. Place the chile and tomatoes in a medium bowl and cover with 1/3 cup warm water. Allow them to sit for 15 minutes, or until they feel pliable and rehydrated. If the chile and tomatoes don’t feel softened and pliable after 15 minutes, go ahead and transfer them and their soaking liquid to a small saucepan set over medium-low heat and simmer until softened, about 5 minutes. 3. Toss the chiles and tomatoes with their soaking liquid, the piquillo peppers, vinegar, salt, and paprika into a food processor and blend until combined. Add the almond butter and oil and process until smooth. With processor running, drizzle in more oil as needed to reach the consistency you desire. 4. On a rimmed baking sheet, arrange the spears in a single layer. Drizzle them with the oil, season with salt and black pepper, and roast until they start to sizzle and brown, 10 to 18 minutes, depending on the thickness of your asparagus spears and just how charred you like your vegetables. 5. 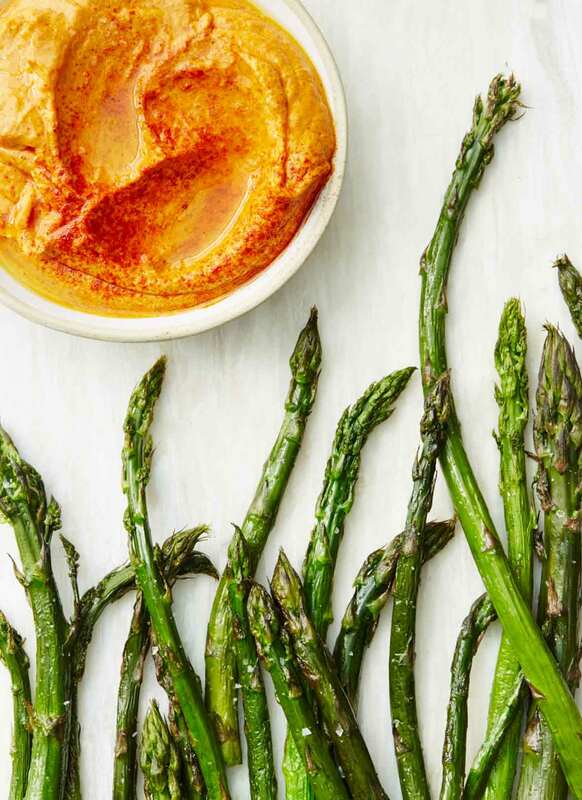 Serve the romesco in a small bowl with a drizzle of olive oil on top and the asparagus on the side for dipping. 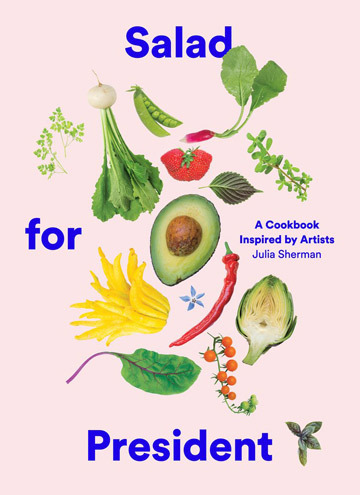 Roasted Asparagus with Romesco Recipe © 2017 Julia Sherman. Photo © 2017 Julia Sherman. All rights reserved. All recipes and photos used with permission of the publisher.